Metal grille that is soldered to the ends of the pencils to keep them in place. 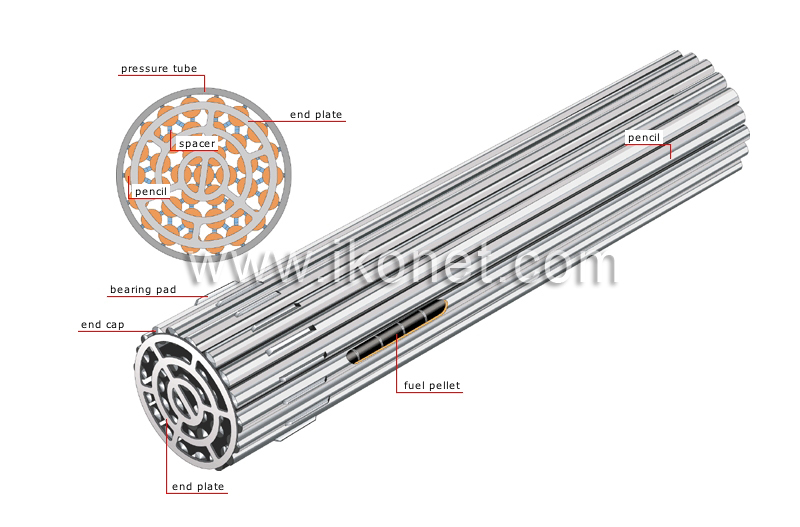 Metal part that is soldered to the pencils around the circumference of the bundle; it is used as a support surface as they are introduced into the pressure tube. Watertight metal cladding in which fuel pellets are loaded. Part that is soldered to the cladding of the pencils to maintain a preset distance between them. Cylindrical part soldered to the ends of the cladding of the pencil to make it watertight.